100 % Licnesed Product From Disney. Small Handbag with long Shoulder Strap. Material: PU. Great Travel bag for storing cell phone, wallet, keys, makeup, even passport or small tablet. 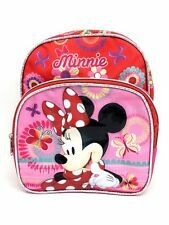 Soft-sided lunch box, made of durable fabric, features vibrant Uma, Mal & Evie graphics right on the front. Descendants Dual-Chamber Lunch Box by Disney. Sparkly detailing on the lower chamber and purple piping on the top chamber will make this lunch tote shine! Multifunction Travel Mini Handbag with Long Shoulder Strap. Small Handbag with long Shoulder Strap. Material: PU. Great Travel bag for storing cell phone, wallet, keys, makeup, even passport or small tablet. Disney Junior Minnie Mouse. Featuring Minnie Mouse. Size (Approx.). Zipper Closure. Adjustable Shoulder Strap. Check-Out Now! Helpful Links. 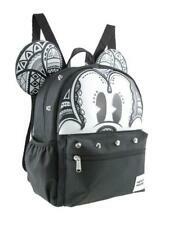 DISNEY THE NIGHTMARE BEFORE CHRISTMAS SKETCH BACKPACK NEW! DISNEY THE NIGHTMARE BEFORE CHRISTMAS MARIE THE CAT CANVAS BACKPACK 12" X 17" NEW!. Doc McStuffins. Northern Ireland, Isle of Man, TR21-25, BT, IM, TR21-25. The Channel Islands. IV, HS, KA27-28, KW, PA20-49, PA60-78, PH17-26, PH30-44, PH49-50, ZE. Scottish Highland and Islands. DISNEY THE NIGHTMARE BEFORE CHRISTMAS SALLY BACKPACK PLUSH CLIP NEW! Disney Nightmare Before Christmas Jack & Sally. Beautiful BNWT Doc mcstuffins first coin purse at a fraction of RRP. THESE ARE ALL BNWT! HANDBAG Item Size: 7" x 5" x 3". Made of an easy to clean and very durable polyester fabric. Numéro de pièce fabricant 21037. Sports bag high quality has ith zipped pockets and handles. Item Size: 12" x 6" x 16". Beauty and the Beast. Disney Princess lunch bag. Small Handbag with long Shoulder Strap. Material: PU. Multifunction Travel Mini Handbag with Long Shoulder Strap. Great Travel bag for storing cell phone, wallet, keys, makeup, even passport or small tablet. Disney Sofia the First. Girls 12" Canvas Pink. Color: PURPLE. Top handle for grip. (SIZE 16" x 12" x 5.5"). TWO ZIPPERED SMALL POCKET IN FRONT. (SIZE 11.5"x 10"x 1" & 9.5"x 4.5"x 1"). (When you buy it before. We will be happy to assist you. ). LUNCH BAG Item Size: 9" x 3" x 11". Item Size: 12" x 6" x 16". Two adjustable shoulder strap (max. 41in/104cm). Zip closure. Nightmare Before Christmas Jack 16" 3-D Style. Great Travel bag for storing cell phone, wallet, keys, makeup, even passport or small tablet. Small Handbag with long Shoulder Strap. 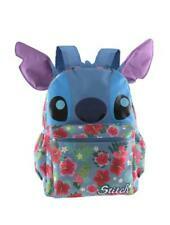 Material: PU. Great Travel bag for storing cell phone, wallet, keys, makeup, even passport or small tablet. 100 % Licnesed Product From Disney.